Can Lisa Evans add to her 17 international goals against Chile and Brazil? Scotland head coach Shelley Kerr is heartened by the fierce competition for places as the summer's World Cup nears. The Scots step up their preparations for France 2019 with friendlies against Chile and Brazil in Spain next month. Lisa Evans and Sophie Howard are added to the squad, with Abigail Harrison and Frankie Brown dropping out. "We need to make sure we select the right 23 players," said Kerr. "That's been a slow process in terms of giving all the players an opportunity." Arsenal forward Evans, capped 75 times and Reading defender Howard have both recently returned from injuries. "We haven't seen Sophie play for about six months and Lisa has been out for some time as well," said Kerr. "So we need to get answers to our questions. "It's a headache now. We've tried to create a really competitive environment and the players have made selection extremely difficult. They are all desperate to go to a World Cup and they are getting better and better." 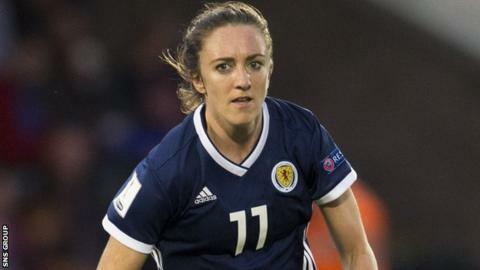 The Scots, who lost to Norway and Iceland in Spain in January, secured fifth place in the Algarve Cup earlier this month, falling to Canada before beating Iceland and Denmark. "We want to continue that momentum," said Kerr, whose side will face England, Japan and Argentina in France. "We were keen to play South American opponents for obvious reasons. It will be a different test. 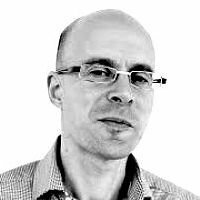 Chile are very good at pressing, good in attack. Brazil are ranked 10th in the world. "I'm not thinking beyond the next two games. We want positive performances and positive results." The game against Chile is on 5 April at the Pinatar Arena with kick-off at 18:00 GMT, while Kerr's team take on Brazil at the same venue three days later at 19:00 GMT. Scotland's group opener at the World Cup comes against England on 9 June in Nice.